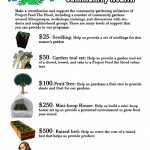 Currently viewing the category: "Project Feed the Hood"
To all of the supporters of Project Feed the Hood – Thank you for your continuing support of our community gardening initiatives over the past three years. Project Feed the Hood has recently switched our former website from Drupal to WordPress! Project Feed the Hood was recently highlighted as a part of a national movement building effort, called the People’s Movement Assembly. 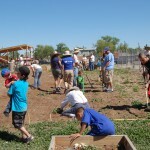 On their tour through the SouthWest our allies from San Antonio and Puerto Rico stopped by to help us do some planting and help us get the word out. 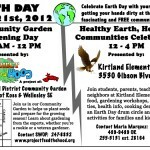 Project Feed the Hood kicked off its second season of community gardening on Saturday, April 16th by planting seeds and working the soil with community members at the International District Community Garden.